What Is a Lease Option for Owner Financing? Read a lease option agreement carefully or have a lawyer review it for you. 2. Can the Seller Get Out of a Rent-to-Own Option? Potential homebuyers unable to obtain a traditional mortgage may have the option of negotiating an owner-financed purchase. The lease option is one type of owner financing that might be available to the hopeful homebuyer. Lease options allow the purchaser to lease a property while also putting money toward a down payment and closing costs. Lease options are a separate contract added to a standard lease form. This additional contract gives the lessee the option to purchase the leased property during a specific period at an agreed upon price. The agreement requires the lessee to pay a monthly lease amount that is higher than market value with the understanding that the additional money is to be applied to the stated lease option purchase amount. A lease option is an opportunity, and not an obligation, to purchase the property in the future. Lease options enable people with a poor credit history, or without a down payment, to purchase real estate. Others may simply need time to arrange or secure financing for a purchase. In some cases, rebuilding credit by making timely lease payments can allow someone to reapply for a traditional mortgage at the end of the lease option agreement. The terms of each real estate option agreement are different, but most follow a similar structure. A property owner leases a home for the current market price of $1,200 a month and the home's market value is $150,000. The homeowner knows that real estate appreciation over the next year is forecast at 3 percent, or approximately $4,500 for his property. A lessee signs a one-year lease agreement of $1,400 a month, which includes the $1,200 a month in rent and an additional $200 a month for a down payment. The additional lease option agreement gives the tenant the option to purchase the property at the end of the lease for $154,500, which is the agreed-upon fair market price for the property. The additional monthly amount of $200 is credited toward the cost of the down payment and the closing costs. Tenants agreeing to a lease option lose the additional money they pay if they do not take advantage of the purchase option. In the previous example, the total amount of $2,400 -- $200 paid over 12 months -- would be forfeited if the lessee did not complete the purchase. Some landlords may be willing to renegotiate a lease option extension. Others may only wish to negotiate a new lease contract without an attached purchase option. A landlord who defaults on his mortgage may trigger a foreclosure, effectively ending the lease option. Foreclosure means that the landlord loses the property. A lease option tenant will then lose the additional money paid for a down payment. Owners also face risks with a lease option agreement. In some states a lease option agreement may be considered an actual contract to purchase property. This means that evicting a tenant with a lease option who has violated a lease agreement may not be possible without a lengthy court battle. 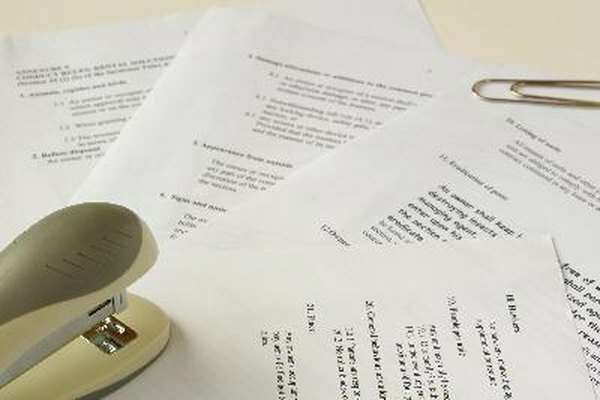 Homeowners considering a lease option agreement with a tenant are advised to consult a local real estate attorney to ensure the agreement will protect their interests.